"Tortures were nothing for the Communists. Those sticks are made of bamboo, but the will of the Communists is made of iron and steel." Jiang Zhujun, better known as “Sister Jiang,” devoted herself to the liberation of her country. Jiang Zhujun, better known as “Sister Jiang” in China, was an underground member of the Communist Party of China. 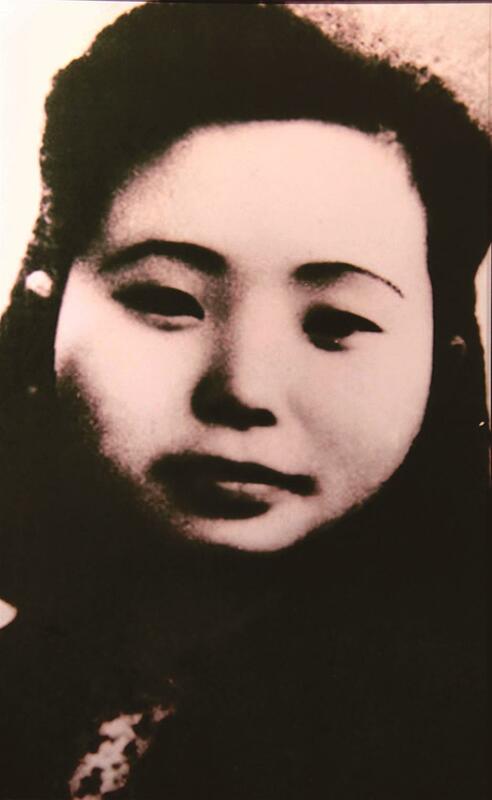 Devoting herself to the liberation of her country, she was executed by the Kuomintang at the age of 29. Jiang was born into a farmer’s family in Jiangjiawan, Zigong, Sichuan Province on August 20, 1920. At the age of 10, she worked at a hosiery factory. The little girl was even shorter than the machine and therefore her boss bought a high stool for her. In 1939, Jiang attended a school in Chongqing and secretly joined the CPC. Though she was eager to go to Yan’an in Shaanxi Province, which was the center of the revolution from 1936 to 1948, she was required to stay in Chongqing and work as a liaison. In order to cover her identity, Jiang was sent to study accounting by the CPC. In 1940, she was enrolled in an accounting training course at a vocational school and she quickly mastered the skill. One year later, Jiang was assigned to the Party Committee of the Xinshi District in Chongqing, organizing patriotic student movements, recruiting new members and taking charge of the Tingjin Newspaper. In late 1943, Jiang had another mission to fulfill — acted as the “wife” of Peng Yongwu, a member of Municipal Committee — in order to help Peng to carry out revolutionary activities there. In the summer of 1944, Jiang was sent to study at Sichuan University and engaged in secret Party work. In June 1946, Jiang suffered from dystocia when giving birth to their only child Peng Yun. Without the company of Peng, she decided to have the caesarean and sterilization operation. In the spring of 1947, Jiang continued to work for the Tingjin Newspaper, proofreading, collecting data and sending documents. In the summer of the same year, Jiang moved along with her husband to eastern Sichuan Province where Peng led a group of guerrillas. Tragically, Peng was decapitated in an uprising several days before the Chinese Spring Festival in 1948. His head was even hung on the city gate. Bearing the pain, Jiang took over Peng’s job and said that she would continue fighting at the place where Peng died. Getting betrayed, Jiang was captured by the Kuomintang on June 14, 1948. Jiang underwent an array of brutal tortures such as beatings with a steel whip and electric instruments and getting her fingers poked with bamboo sticks. The physical suffering didn’t let the heroine confess to any crime. During the imprisonment, she wrote a letter to her cousin Tan Zhu’an in secret. It is said that the ink was made of water and cinders of burned cotton from quilt. In the letter, she wrote that the “tortures were nothing for the Communists. Those sticks are made of bamboo, but the will of the Communists is made of iron and steel.” Jiang also asked Tan to take care of her son but particularly mentioned that the child should not be spoiled. She hoped that her son would continue her work, fighting for the liberation of the country. The 12-centimeter-long letter was secretly taken out by a guard and delivered to her cousin. It is now collected in the Three Gorges Museum in Chongqing. On November 14, 1949, only 16 days before the liberation of Chongqing, Jiang was killed by the Kuomintang.